Nail Art Gallery Magazine is a new digital-only bi-monthly publication for anyone who loves nail art. 1 6 c a n n a b i s Canni manis are the new way to celebrate 4/20. From hand painting to embedding actual greenery into the nail, there's something for everyone who wants a nail high. 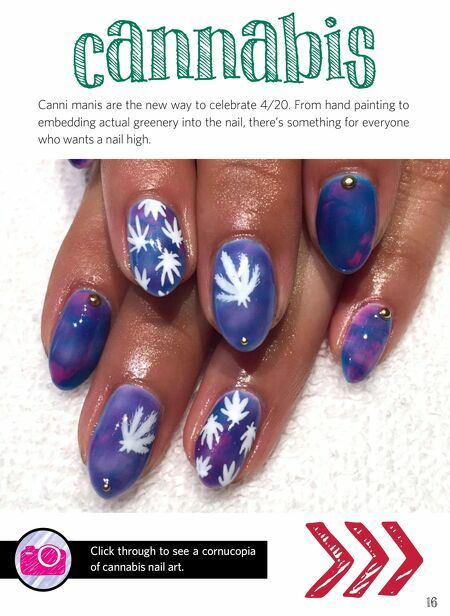 Click through to see a cornucopia of cannabis nail art.